Still haven't seen Avenue Q yet? Well there is no better time than right now. Having seen the show over a half a dozen times I can honestly say that I have never laughed at a show as much or as loud as I have each time I saw Avenue Q. In fact the main reason I had to go back so many times is because each time I missed something hilarious because I was laughing so much. Well that and because I really loved it. I mean what's not to love? Great songs. Hysterical dialogue. Not too mention puppets making out and oh yeah.....Gary Coleman is a character too. How many shows can say all of that? O.K. I know that the new play Hand To God has a twisted puppet as well but that show only has one. Avenue Q has eleven. I think Avenue Q wins. But I'm partial. Not only is it one of my favorite shows but it is also the first show my parents saw on Broadway. In fact every time I mention to them that I went to a show they ask me if Avenue Q is still playing. "Of course it's still playing" I say. I mean why wouldn't it be right? It's not like there's anything out there like it playing on Broadway or Off-Broadway. Yes I know The Book of Mormon is pretty vulgar too. It's not surprising since it was co-written by the same guy who co-wrote Avenue Q. Now as I mentioned at the beginning of my blog now is the perfect time to see one of the funniest shows ever written. Just call and speak to one of the friendly ticket experts at Applause and we will take care of the rest. It's that easy. Plus since the show is now back playing Off-Broadway again after a successful run on the Great White Way all the seats are great not too mention less expensive as well. 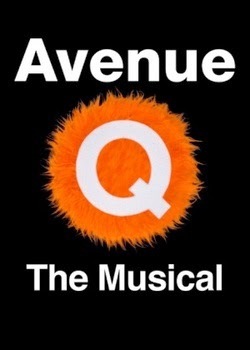 Get your tickets to see Avenue Q. The 2004 Tony Award winner for Best Musical of the Year. (Yes that's right. It beat Wicked just in case you forgot) Until next time theatre fans.